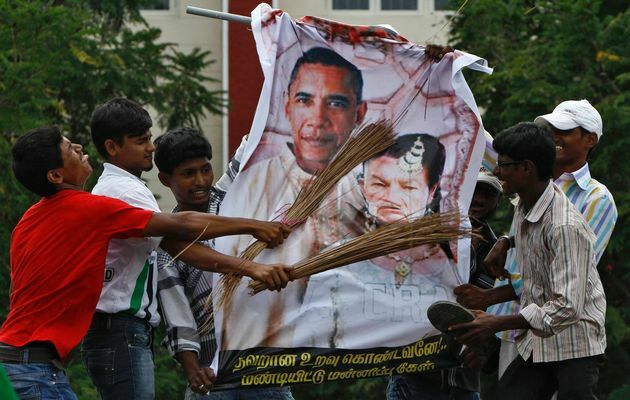 Sri Lanka Defence Analytics: Tamils for Obama? The priest warned of dire consequences if the issue couldn’t be resolved through a domestic negotiating process. "We need to realise the situation. Some external elements pose a threat on the Sri Lankan state. The possibility of external elements exploiting the situation in the Northern and Eastern Provinces, too, cannot be ruled out," the Cardinal said. He referred to the setting up of puppet regimes in other parts of the world through external interventions. Sri Lanka, too, could face a similar threat unless those in power were cautious, the Cardinal said. Way to go GR, way to go. GR has initiated the move against INDIAN IMPOSED 13 amendment.